Marine Collagen, Gelatin, Grape seed oil, Soya oil, Glycerol, Evening primrose oil, Vegetable oil hydrogenated, water purified, Beeswax white, Royal jelly lyophilised, Lecithin, colours. 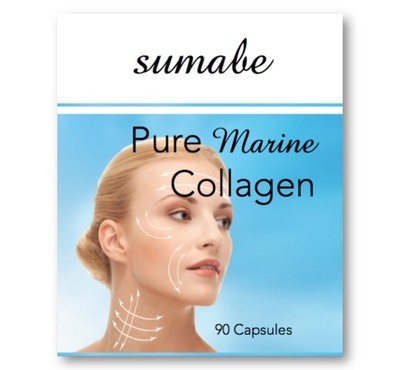 Sumabe® Pure Marine Collagen formula has been specifically designed to support beautiful, radiant looking skin! The ingredients in Sumabe® Pure Marine Collagen formula combine to support the maintenance of healthy skin. This formulation also helps to maintain the health of the cardiovascular system by assisting to maintain normal cholesterol levels in healthy individuals, and also helps in the maintenance of a normal or healthy immune system. 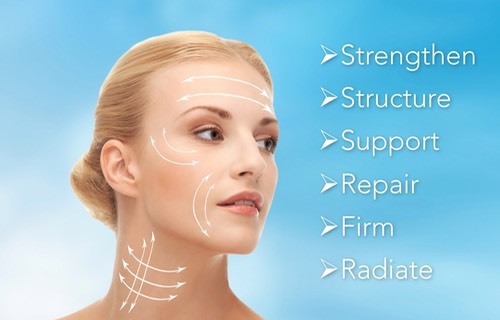 Pure Marine Collagen formula helps in the maintenance of general well-being. Take 2 capsules 1 to three times daily. Capsules can be opened and sprinkled onto food, into smoothies, yoghurt or onto cereal. Not suitable for children. This product contains royal jelly which has been reported to cause severe allergic reactions and in rare cases fatalities - especially in asthma and allergy sufferers.